Rooftop gardens have been around at least since 6,000 B.C. and thrive all over the world. The benefits of growing in the sky for city dwellers are many: better air, cooler buildings, and the intangible but potent psychological boost of having green space as close as the last stop on the elevator. 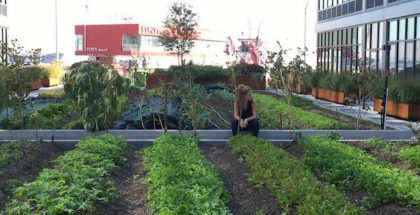 And as the urban agriculture movement ramps up, urban farmers are increasingly looking upward for new spaces to grow. City land, after all, is notoriously expensive. 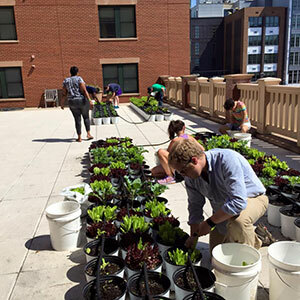 But there’s a steep learning curve involved in creating a viable rooftop farm any bigger than a few potted tomato plants or herbs. Photo courtesy of Rooftop Roots. 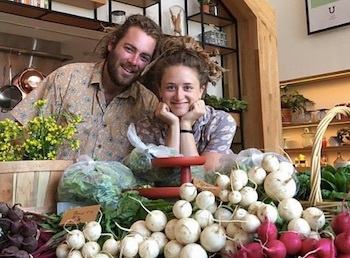 For urban farmers, clever space utilization is key, especially in a major city like Washington D.C., where planners estimate there will be a need for 200 million square feet of new housing by 2040. 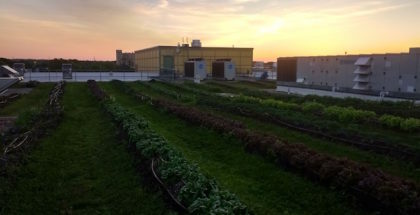 Using rooftops can change the game and offer major ecological benefits along with fresh local food. 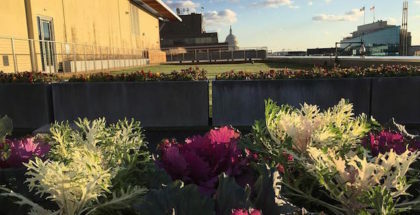 Rooftop Roots is a team of D.C. locals who have been working for five years to scale up rooftop growing in their city and supply local food banks with the harvest. 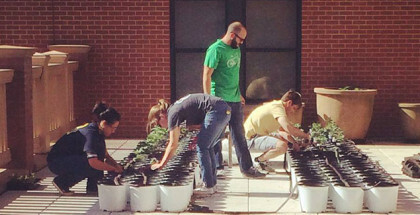 Seedstock spoke to executive director Thomas Schneider about how it’s done. 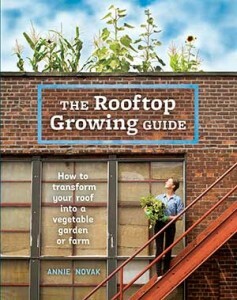 Seedstock: I understand that Rooftop Roots was born in a conversation between you and Christian Patrizia, your marketing director whilst hanging out on a roof. How long between that conversation and the first seed getting planted? What were some of the first steps?